Psst! 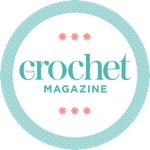 Right now you can get 3 issues* of Inside Crochet for the price of 2. Simply visit our back issue catalogue and add your three favourites to the cart. *This offer includes issues up to and including issue #102.